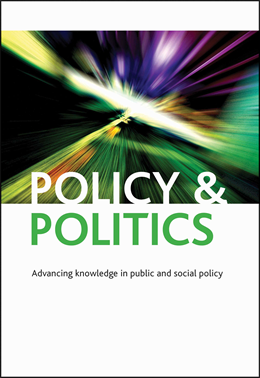 The journal Policy & Politics, owned by the University of Bristol, is enjoying an incredibly positive and vibrant period as a leading international journal. Not only did its Impact Factor score jump by 72% this year (to 1.302) but it is also ranked in the top quartile in a number of disciplinary areas. It has a proven track record in spanning academic and practitioner debates and its website and this blog reach a variety of audiences across all parts of the world. The journal hosts an annual conference which was held in Bristol on 16th-17th September. It was our biggest conference yet with over 200 delegates from 33 countries and with plenaries from four of the best scholars on governance in the world.